Ballet San Jose's “The Nutcracker” affords the Bay Area yet another opportunity to experience the traditional Christmas tale. 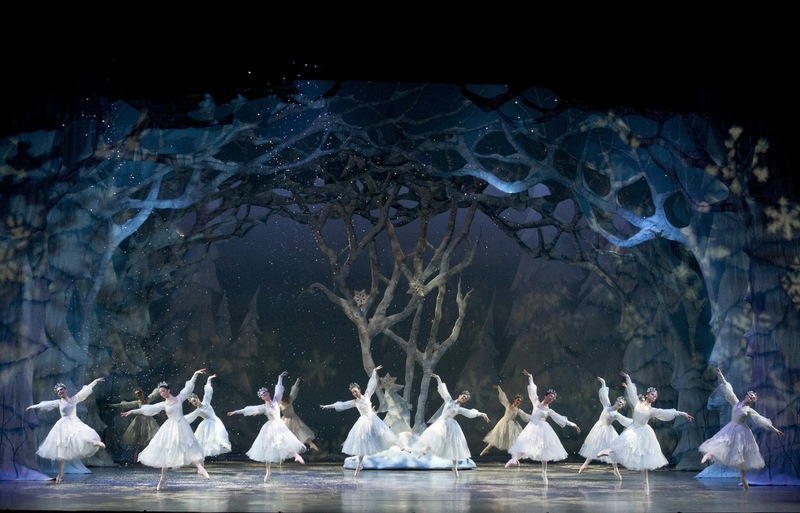 Choreographed by Artistic Director Dennis Nahat on the former Cleveland Ballet in 1979, this production centers around the main character of Maria Tannenbaum and her beloved Nutcracker Prince. While much of Act One is familiar to any “Nutcracker” fan, Act Two is quite a diversion from the typical “Nutcracker” story. Instead of arriving in the 'Land of the Sweets', Maria and the Prince travel through three different lands. In each locale, they are greeted with the dance of that nation and are invited to participate. Lastly, they arrive at their final destination of Muscovy and it is here where the Prince is joyfully reunited with his parents, Tsarina Tatiana and Tsar Nikolai (danced by Karen Gabay and Rudy Candia at this performance) and is able to introduce them to Maria. Act I, Scene IV, aptly named 'A Wondrous Snowstorm', highlights Nahat's unique ability to marry classic and contemporary sensibilities. The technique and physical syntax definitely fall into the classical camp. The snowflakes run into the space like ethereal fairies, carrying handfuls of snow that they dispel into the air. Beautiful port de bras fills the entire group dance that follows. The hands and arms move above the head, gently brushing the sky in combination with airy pas de basques; chaîné turns fall into waltz steps and balancés while the arms alternate between bras bas and 5th position. Constant motion was the name of the game; even in the few moments where the snowflakes posed in a particular position, there was no stopping. You could see them growing and extending every second they were on stage – constant and impenetrable flow and grace. Some classical patterning also deserves special mention. Near the end of the scene, a gorgeous musical glissando is represented by sequenced floorwork that increased in tempo and intensity as dictated by the score. And, the winter wonderland concluded with the snowflakes boureéing in a zipper formation, engulfing Maria and the Prince in their embrace before sending them off on the next leg of their adventure. It was in the narrative that Nahat employed a more contemporary interpretation of the snow scene (and for me his choices make a lot of sense). He elects not to feature a Snow King or Queen and instead have Maria and the Prince dance the entire pas de deux together. This choice allows a stronger participatory element to their story – they are really involved in the transition from the party through the snowy forest and into the next dimension. By having them dance these 'lead roles', Maria and the Prince are not only present but also active in every part of their journey. When I attend any ballet, my focus is obviously on the dancing and choreography. I tend to not comment too much about design or costumes but every once in a while, one of these elements is so overwhelming that it must be mentioned. 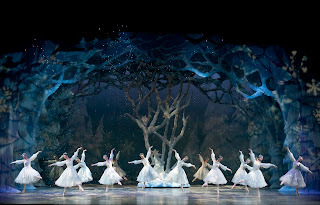 I felt transported by the stunning snow scenery in Ballet San Jose's “The Nutcracker”. David Guthrie has envisioned a set that creates a wintry forest possessing emotion, beauty and depth. Bravo!